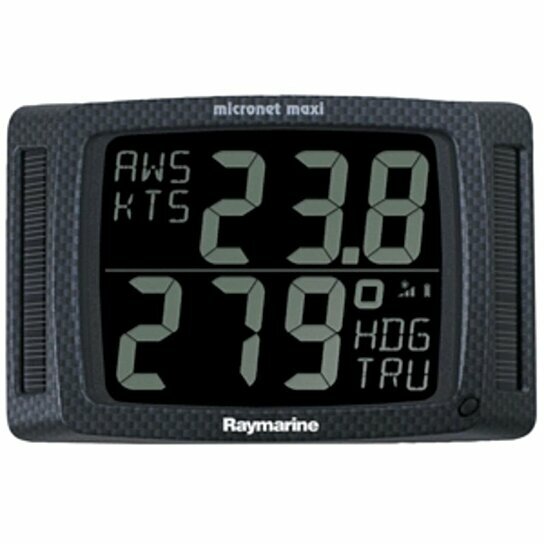 A mast display designed for racing yachts with high contrast, large digits on two lines, providing highly visible and accurate data in all conditions from anywhere on your boat. The black background ensures minimal disturbance to your night vision and the red and amber backlight options allow you to select a different color for different data displays. You can customize the display to show only the data options you want to see, minimizing the time it takes to select the pages you really need. Alternatively you can use the innovative Auto Leg function which changes the display automatically to show the information you need for each leg of the course without the need to press a button. You can maximize your performance using the Line Bias, Wind Shift and Timer functions together with indicators for acceleration and speed trend. In addition the Set, Drift, Turn and Course to Steer functions will give you the edge by helping you to spot your tides. The Remote Display not only provides you with additional performance data and graphing pages to monitor trends but is also essential to control and configure your Maxi Displays from anywhere on your boat.